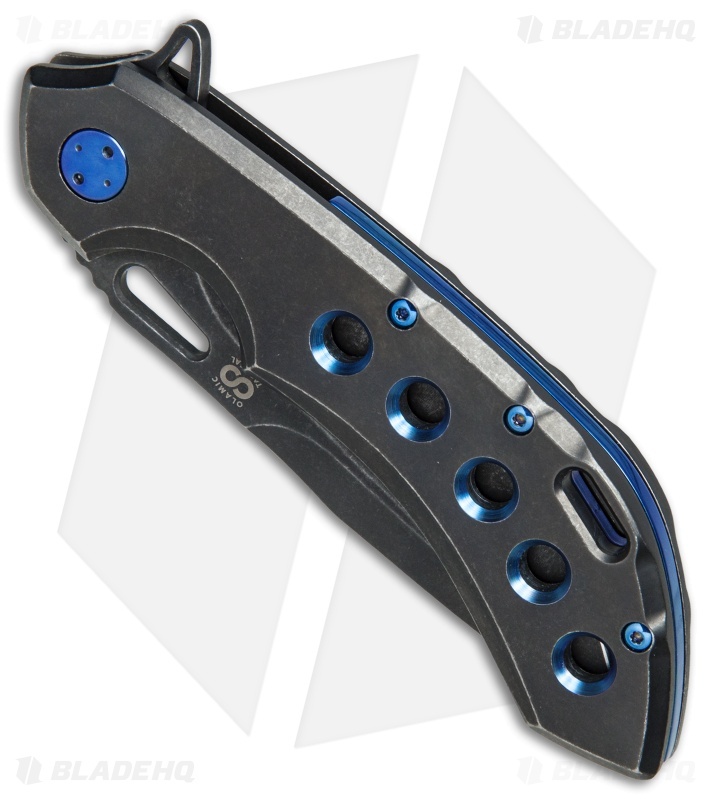 This Wayfarer model sports a 5 hole pattern titanium handle and a spear point blade in a black PVD wash. Blue finished chamfers, hardware and backbar add an elegant touch to the piece. 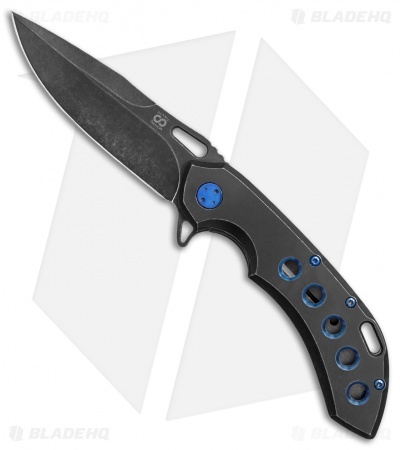 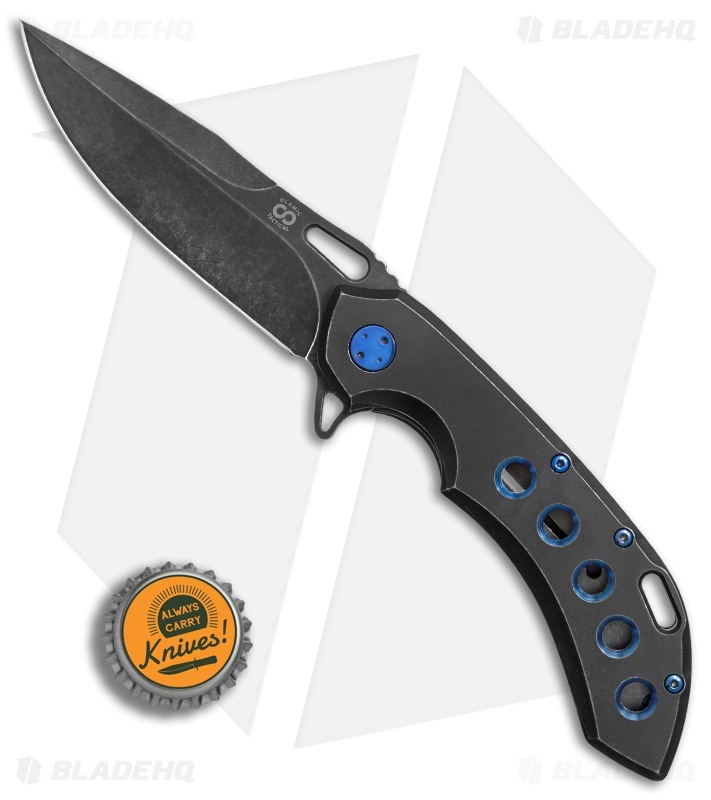 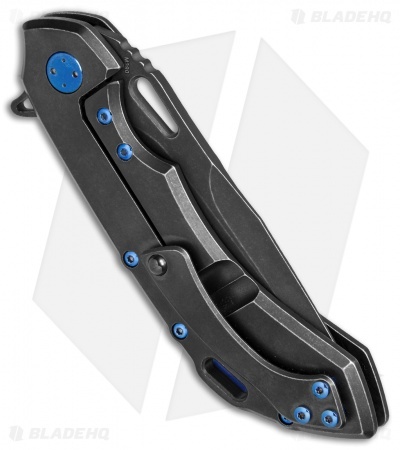 The Wayfarer 247H from Olamic Cutlery offers quick and smooth action with a strong ceramic detent ball and skeletonized flipper tab. A generous finger groove and handle contouring provide a comfortable and secure grip in hand. Item includes a ceramic ball bearing tri-mount pocket clip.